Scrub brush features polypropylene fill, an iron handle, pointed block and square block designs. 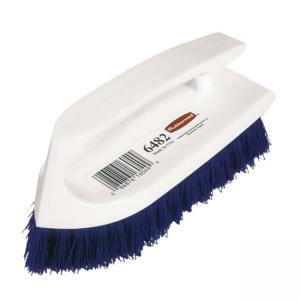 Durable and abrasion resistant brush will not stain, discolor or absorb odors. Design is resistant to solvents, acids, oils, fungus and bacteria growth. Scrub brush can be used wet or dry.